AFTER three months of preparation and with five writers now on board, the latest addition to Penang’s arts and culture calendar is set to take off this weekend. 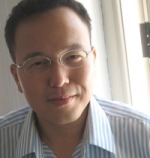 Shih-Li Kow’s debut collection of short stories, Ripples And Other Stories, was shortlisted for the Frank O’Connor International Award for Short Stories. 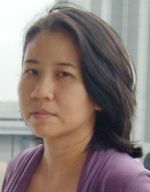 The two-day George Town Literary Festival started with a vision: when Penang Global Tourism’s managing director Ooi Geok Ling got wind of Writers Unlimited 2011 coming to Kuala Lumpur in June this year, she approached festival director Bernice Chauly to ask if she would like to do something similar in Penang. “It was a great idea, but I wanted to focus on Writers Unlimited first, so I told her that I would think about it. It was to be held less than six months after Writers Unlimited and I didn’t really want to do it myself,” says Chauly at an interview in Kuala Lumpur last Wednesday. She decided to take the plunge when Reka Art Space owner Chee Sek Thim offered to produce the George Town fest on the condition that Chauly take on the role of festival curator. “That’s when Sek Thim and I started working together. We spent the last three months putting this together. It’s the first literary festival in Penang, so the obvious theme was history and heritage,” says Chauly. Tan Twan Eng, whose novel, A Gift Of Rain, was longlisted for the Booker Prize, will be giving us a sneak peek of his latest book, The Garden Of Eveing Mists. The state-sponsored festival, with the theme “History and Heritage – Where Are Our Stories”, encourages an exploration of our roots. “It’s about that connection with the place of your birth and the place that you come from. It’s all about going back to the beginning of your stories,” Chauly explains. She adds that Penang has changed drastically in recent years. “There is a real buzz to it now, there’s a sense of possibility in the air. The restoration looks great, but it’s not just about preserving old things; it’s also about creating new things. I think Penang is ready for the future, and ready for such a festival. The festival will open on Nov 26 with a book launch and reading of Bila Terkenang Zaman Dahulu, a book of pantun (Malay poems in traditional form) collected from the oral and written archives of Penang, and edited by National Laureate Muhammad Haji Salleh. Penang-born 2007 Man Booker Prize nominee Tan Twan Eng, who currently resides in South Africa, will read from his second novel, The Garden Of Evening Mists, which is set in Cameron Highlands, Pahang, in the 1950s. From Indrapura to Darul Makmur: A Deconstructive History of Pahang is the latest book by iconoclast historian and social commentator Dr Farish A. Noor, a Senior Fellow at the Nanyang Technological University, Singapore. “It’s kind of like a sneak preview as the novel will only be available in January next year,” says Chauly. The other three participating writers are Farish Ahmad Noor, Iskandar Al-Bakri and Shih-Li Kow. Moderators are BFM Radio’s Sharaad Kuttan and online news and commentary portal The Nut Graph’s Jacqueline Ann Surin. The programme line-up includes public readings and discussions by the participating writers (mostly free events) and the festival will close with a performance by guitarist-composer Az Samad. 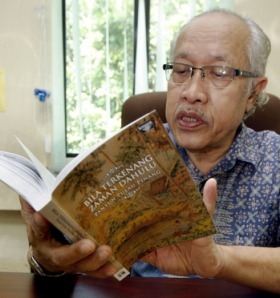 National laureate Muhammad Haji Salleh will launch his latest book, Bila Terkenang Zaman Dahulu, which celebrates traditional poetry. “I wanted to keep the festival small, local and intimate. Many of us (writers) perform in festivals around the world, but rarely do performances in Malaysia. “It’s important that Malaysian writers remain in touch with Malaysian audiences. Because the festival is small, everyone will have a chance to talk to everyone else – be it a writer with another writer, or the audience with the writers,” says Chauly. 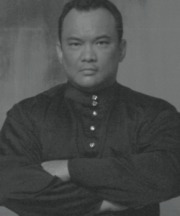 Iskandar Al-Bakri’s first novel, The Beruas Prophecy, is his attempt to discover the dark history of the Malay Peninsula that involves politically influential Malay secret societies in the early 19th century. She applauds the Penang State Government for supporting such an event: “It’s very visionary, very forward-looking of them. They gave us complete freedom in choosing the writers, content and theme. “The long-term plan is to sustain this every year and in the future, it might even include writers who write in Chinese or Tamil. A literary festival has to be free – there should be no censorship or limitations on what you can talk about or what you can’t. And that, I think, is a big challenge for Malaysia,” she concludes. The George Town Literary Festival will run from Nov 26 to 27 at China House (No. 183B, Lebuh Victoria) and the E&O Hotel (No. 10, Lebuh Farquhar) in George Town. For more details, visit gtlfestival.blogspot.com, e-mail gtlfestival@gmail.com or call 017-872 7721.